Being a leader in the industry, we are engaged in offering a qualitative range of Brass Press Metal Components to our customers. Price : Approx 700 rs to 750 rs per kilogram as per quality. With rich industry experience, we are manufacturing a superior quality of Brass Sheet Metal Parts. Our product is well known for highly durable and reliable. We provide our products to our clients in various specifications. These components are highly acclaimed in the market for their strong construction. Clients can avail a customized range of these sheets from us at most decent prices. We are the leading entity of industry that is involved in manufacturing high quality range of Brass Sheet Metal Part. Leveraging upon our technologically-advanced production facility, we are able to provide qualitative Brass Sheet Metal Part. We are a remarkable entity, engaged in manufacturing and supplying high quality Sheet Metal Part. - Widely used in mechanical industry. Our range of Sheet Metal Parts is highly demanded by the clients for its precise dimensions. High tensile strength and rugged construction have made these parts popular among clients. Manufactured using quality alloys & metals such as brass, copper, stainless steel and aluminum, our metal parts are durable and unmatched in quality. With sincere intentions to continue and maximize our reputation in the industry, we are offering a comprehensive assortment of Brass Sheet Metal Parts in the market. With a firm commitment to quality, we are involved in offering a wide ambit of Brass Sheet Metal Parts. 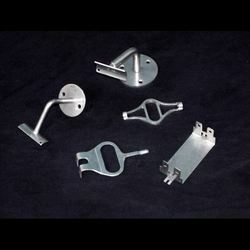 We manufacture a wide range of Sheet Metal Parts. These parts are of widely used in the automobile and engineering related industries. We use different grades of material such as steel, SS, brass and copper for manufacturing these parts. Our products are in adherence with the standards & specifications of the industry. 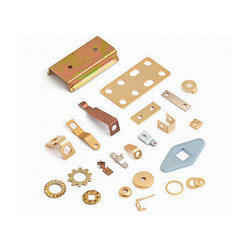 We are manufacturer and exporter of all kinds of Brass Sheet Metal Parts. Finish And Coating: : Natural, Nickle Plated, Tin Plated brass sheet cutting parts, brass pressed parts or any coating as per customer specification. Finish Coating : Natural, Nickel Plated, Tin Plated brass sheet cutting parts, brass pressed parts or any coating as per customer specification. - 63/37 Half Hard Brass Sheet.